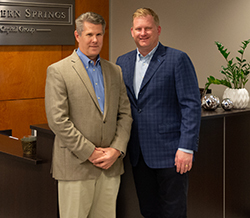 With more than 17 years in the financial services industry, Martin has dedicated himself to helping his clients build their portfolios and have a solid plan in place for confidently pursuing their financial goals. He has extensive knowledge in vital financial matters such as wealth management, investment planning and strategy implementation. Martin found his calling while in college following the death of his father, when his mother sought the aid of financial advisors to help with planning the next steps of her financial future. Witnessing that emotional experience and process firsthand, he knew he wanted to serve as a source of guidance and clarity for others during similarly trying and difficult situations. 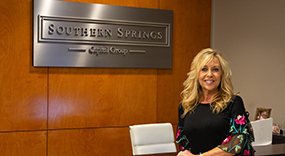 Prior to founding Southern Springs Capital Group, Martin was a first vice president at Merrill Lynch, where he served as a trainee coach. He earned a bachelor’s degree in business administration with a concentration in finance from the University of Kentucky, where he was a member of Sigma Nu. Martin stays active in various community organizations, and enjoys giving back in a behind-the-scenes, operational and advisory capacity. He is a member of the Lions Club, where he served as chairman of major fundraising for 15 years. Martin is originally from Gallatin, Tennessee, and lives in Brentwood with his wife, Allison, and their daughters, Adeline, Beatrice and Evelyn. In his free time, he enjoys golf, traveling and sporting events. Martin is a member of Forest Hills Baptist Church, where he serves as a deacon and Sunday school teacher.